Samatva Yogalaya - Rishikesh, a yoga school in India Registered with Yoga Alliance, offers affordable and residential yoga courses for beginners, inexpensive yoga retreats and residential yoga teacher training accreditation based on customary hatha yoga and hatha yoga in iyengar/ashtanga style with an attention on an alignment. Situated in the blessed city of Rishikesh (India), the goal of yoga and Samatva, a word got from the Bhagavad Gita (section 2 stanza 48). Yogalaya, then again, implies a place that houses (yoga + alaya). Along these lines, Samatva Yogalaya has a way to deal with instructing yoga that at last leads to harmony. Samatva Yogalaya, under its authority organizer and instructor Krishna Sikhwal, is developing and building up itself as outstanding amongst other yoga schools in India by the goodness of its traditional teaching styles, small class measure (approx. 10~12 understudies in each group), customized regard for every candidate with more attention. 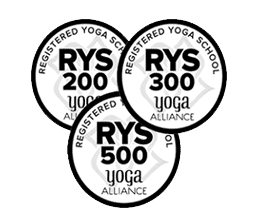 Courses Offered: 200, 300 & 500 hour residential yoga teacher training in Rishikesh The yoga courses are traditional hatha yoga and hatha yoga in iyengar/ashtanga style, with focus on alignment. Yoga teacher training here is an amalgamation of asana and other yoga practices like pranayama, meditation and also includes yoga history, philosophy and anatomy. Residential, affordable and intensive hatha yoga instructor training in India dependent on traditional hatha yoga and hatha yoga in iyengar/ashtanga style in 2019, registered with Yoga Alliance - USA, at yoga school Samatva Yogalaya connect with Starlim India - Rys 200, Rys 300, Rys 500. » Internationally certified yoga teacher training certificate course registered with Yoga Alliance. » Clean & hygiene room with attached bathroom and hot water. » Diet organic vegetarian food & Tea-Snacks 3 times daily. » Three course books & 1 comfortable yoga t-shirt. » Sightseeing activity & adventure trip to a nearby location. The food offered at Samatva Yogalaya - Rishikesh is vegetarian and based on the sattvic diet and also tea-snacks for three times daily. We get what we deserve and I feel truly blessed to deserve such wonderful teachers. 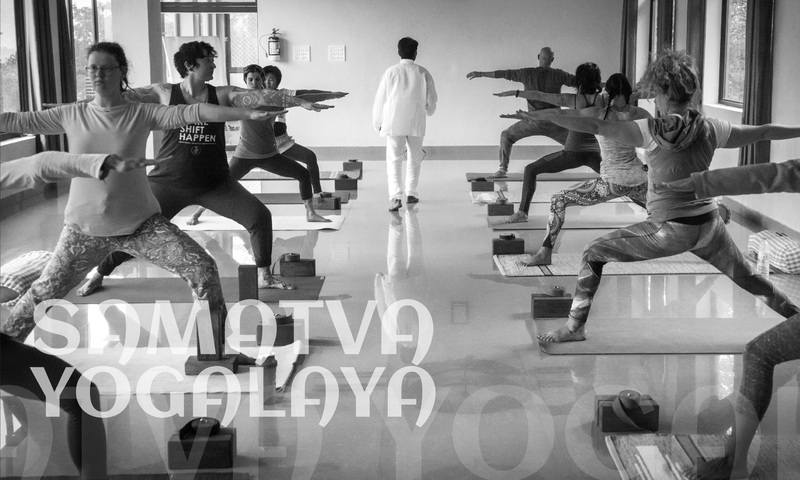 When you enter into Samatva Yogalaya, you enter into the house of yoga. No doubt Krishna and Sangeeta teach you asana, pranayama, philosophy, anatomy and everything you need to know; but here you are not only a student, you are treated as a family member and you get to experience the yogic life with these kind and humble people. You learn about equanimity and awareness. You learn what Yoga really is. I am grateful to be part of this yogic family! Choosing a YTT is quite overwhelming. There are what feel like a million programs. I feel so fortunate to have chosen samatva ! If you have ytt shopping fatigue .. look no further!! My time at Samatva did way more than just help improve my asanas form. This program is a deep dive into the roots of yoga, traditional Indian culture, the mental and physical practice behind yoga, pranayama, mantra chanting, foundational corrections, antatomy, philosophy .. complete with amazing Indian meals and great living conditions. Singita, Krishna and the whole crew really take you in as family. They are genuine, honest people with their hearts so clearly invested in their students and the work they do. In a sea of yoga schools in rishikesh, I truly believe this school is special and the best out there. They don’t take on too many students in each program so that you get individualized attention and are able to closely bond with your group. This program is an experience of a lifetime and I’m already hoping to plan my next visit back. Thank you Krishna and Singita for your sincerity and hard work to provide us so much meaning the past month. Out of all the Yoga schools in Rishikesh I was so fortunate to choose Samatva Yogalaya to do my 500hr YTT. I will do it over and over again with no doubt. I enjoyed every moment there with KrishnaJi and Sangeeta. I learned and lived everything I needed and I´m so grateful for that. Thank you for everything and for making me feel part of your family. If you are looking for a great yoga school in Rishikesh this is the place you are looking for! I definitely recommend it.You will enjoy it!! It was truly one of the best experiences of my life to train and study with Krishna and become a part of his yoga family. I’ve learned more than I ever thought possible over the course of my 500h yoga teacher training. The knowledge I gain about my self, life, and all the aspects of yoga is beyond value. The experiences I shared will remain with me for the rest of my life and I am so thankful for that!